What’s New in So what? who cares? 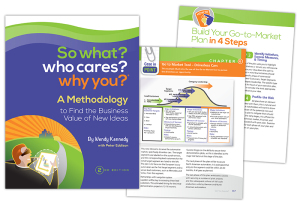 why you?® - wendykennedy.com inc.
Case In Point Examples — As we celebrate the release of the second edition of the methodology, it’s useful to highlight what’s new and different in this edition. In this post, we focus in on the “Case in Point” examples. Case in Point examples are found throughout every chapter of the book – they give users a hands-on, real world illustration of how each tool in the So what? who cares? why you? methodology is applied. 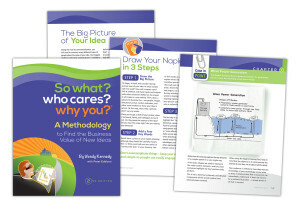 They are one-page in length and include the visual tool as well as a short-write-up to set the context. You can view the book here to take a closer look.